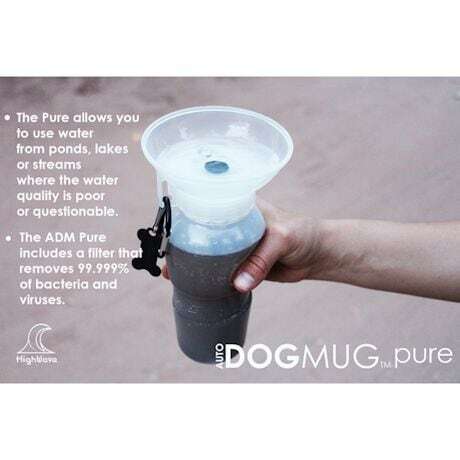 Keep your furry friend hydrated on long walks and hikes with the innovative Auto Dog Pure Mug portable water bottle. 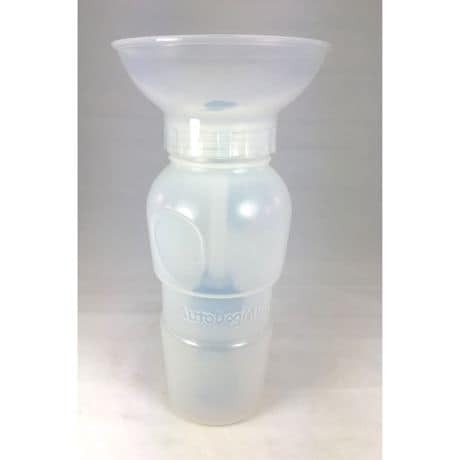 This handy device features a ceramic filter that removes 99.999% of bacteria, viruses, cysts and other pathogens, which allows you to use any water source available to quench your dog's thirst on the go. 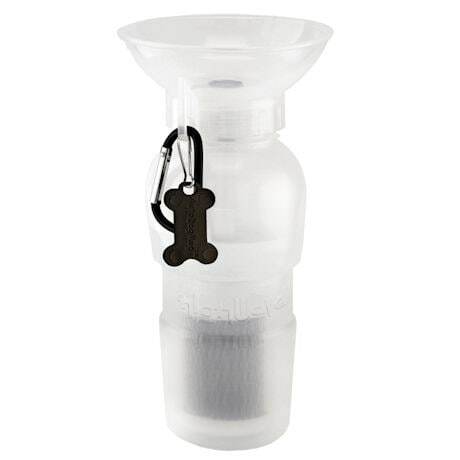 Dip the food-safe bottle into a lake, pond or stream to fill, then squeeze it to dispense fresh, clean water. The unique design of the dish-shaped topper allows your pup to lap up the cool refreshment with ease. 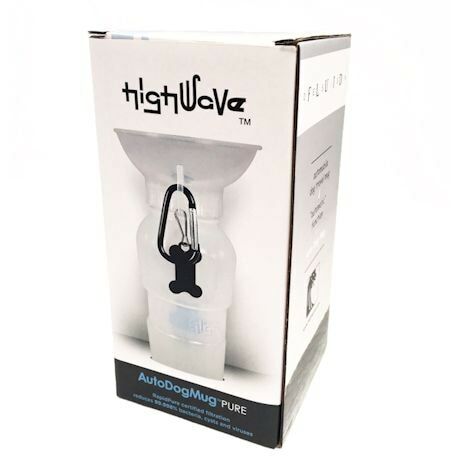 The Auto Dog Mug Pure fits car cup holders, and includes a carabiner for easy attachment to a backpack. Holds 20 oz. Made of BPA-free Polypropylene. Filter is made in the USA, certified by third-party testing and purifies up to 50 gallons. Top rack dishwasher-safe.